Glenn Beck continues to push the lunatic theory that recent events show that the left and the Obama administration are laying the groundwork for military action against Israel. In fact, Beck's theory rests on utter falsehoods and wild distortions. Beck: Obama Administration "Is Siding With The Wrong Side," But "I Stand With Israel"
BECK: [T]he world is being led to the water that Israel is the evil one and it's about to drink. Don't drink that water. They have measurably -- no, it's the Middle East. They have immeasurably more freedom than any other Middle Eastern nation. Women are free to drive. Women and our daughters can walk alone in the streets without being stoned or jailed. You can bring a Bible or a Quran into Israel. When a woman can't walk down the street alone and be safe, and not because she's in a dangerous neighborhood but because she walked alone without a man, how do you possibly stand with that country? How do you possibly stand with a group of people that say, "I'm going to kill you if you don't go to my faith"? A country that treats women or people who are at all different like a dog, treats a woman as a piece of furniture or a sexual toy that can be raped and the courts will allow it -- how is it that a country like ours actually listens to those evil people saying this is evil and we believe it? How many Israelis have taken someone off the streets and then beheaded them on videotape just for political reasons? 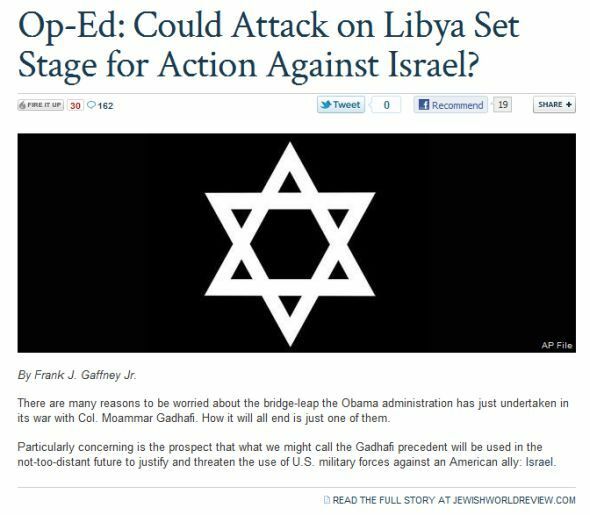 Beck Claims Obama Administration Is "Pushing The Responsibility To Protect Act" That May Hurt The "Survival Of Israel"
BECK: Let's look at the direction in the Middle East. Do you think it's headed towards the -- towards the peaceful conclusion? To a happier world? Do you think it's going to end well, or not so much? Are things happening that are beneficial to the survival of Israel, or not so much? Is there any leader in the world standing up for Israel, or not so much? Yeah, Bob, I'd have to go for not so much. Israel is under attack, and let me show you just a couple of things. BECK: That brings us to the responsibility to protect doctrine. This states that states have the right to protect the population, in fact, the responsibility to protect the populations from genocide, war crimes, crimes against humanity, and ethnic cleansing. That's apparently what was happening in Libya. That's what we used -- justification to wage kinetic military action against a country that, as Defense Secretary Gates said, was not a vital interest to the United States. But we had a responsibility to protect. And that was an idea spawned by none other than Samantha Power. She's a White House aide and the wife of the most dangerous man in America, Cass Sunstein. I'm thinking about calling them the most dangerous couple of the year, because she's now out in the press bragging that it was Obama who triggered the Libya uprising. What? Excuse me? I'm sorry, hmm? Power, before being in the White House, explicitly stated how she would deal with Israel. Here she is. POWER [video clip] What we need is a willingness to actually put something on the line in sort of helping the situation. And putting something on the line might mean alienating a domestic constituency of tremendous political and financial import. It may more crucially mean sacrificing -- or investing, I think, more than sacrificing -- literally billions of dollars not in servicing Israelis', you know, military but actually in investing in the new state of Palestine, in investing billions of dollars it would probably take also to support I think what will have to be a mammoth protection force.... [A]ny intervention is going to come under fierce criticism, but we have to think about lesser evils, especially when the human stakes are just becoming ever more pronounced. HARRY KREISLER (host): Let me give you a thought experiment here, without asking you to address the Palestine-Israel problem: Let's say you were an adviser to the president of the United States. How would, in response to current events, would you advise him to put a structure in place to monitor that situation, at least one party or another be looking like they might be moving toward genocide? BECK: While Soros' group advocates for these radical groups, he then singles out Israel, calling them -- I'm quoting -- "the main stumbling block" to the transformation of the Middle East. He added, in this report, "in reality, Israel has much to gain from the spread of democracy in the Middle East as the United States has, but Israel is unlikely to recognize its own best interests because the change is too sudden and carries too many risks." Some have articulated fears of adverse consequences of free elections, suggesting that the Egyptian military may seek to falsify the results; that Israel may be adamantly opposed to a regime change; that the domino effect of extremist politics spreading to other countries must be avoided; and that the supply of oil from the region could be disrupted. These notions constitute the old conventional wisdom about the Middle East -- and need to be changed, lest Washington incorrectly put up resistance to or hesitate in supporting transition in Egypt. That would be regrettable. President Obama personally and the United States as a country have much to gain by moving out in front and siding with the public demand for dignity and democracy. This would help rebuild America's leadership and remove a lingering structural weakness in our alliances that comes from being associated with unpopular and repressive regimes. Most important, doing so would open the way to peaceful progress in the region. The Muslim Brotherhood's cooperation with Mohamed ElBaradei, the Nobel laureate who is seeking to run for president, is a hopeful sign that it intends to play a constructive role in a democratic political system. As regards contagion, it is more likely to endanger the enemies of the United States -- Syria and Iran -- than our allies, provided that they are willing to move out ahead of the avalanche. Beck Omits Context And Suggests Soros Sees America As "The Main Obstacle To A Stable And Just World Order"
BECK: George Soros is also the guy that believes that -- this -- quoting him: "The main obstacle to a stable and just world order is the United States." Whoa. So let's see if we have this right. Israel and the U.S. is an obstacle to what he or his groups believe should happen. Huh! BECK: The only thing that would make George Soros look foolish is his ideas spoken clearly out in the open -- ideas that are wildly out of step with the American people and, I do believe, becoming dangerous, which is why he has to keep them in disguise. He has put together one serious operation. It's a serious operation that is on the wrong side of history. For example, do you know about the Soros-funded International Crisis Group? Look up the International Crisis Group. It is -- oh, it's quite amazing. And it seems to be right in the center of almost everything that is happening overseas, especially in Libya now and Egypt. The International Crisis Group has consistently worked to support the groups in the Middle East who want to establish an Islamic government, including the Muslim Brotherhood and even Al Qaeda. There is a report that came out in June 2008 -- it's this one -- it's entitled, "Egypt's Muslim Brotherhood: Confrontation or Integration?" Guess what they decided would be best? It was put out by his group, the International Crisis Group, who I believe he sits on the board and so did [Mohamed] Elbaradei for a while. Well, he resigned as soon as he got that call. The Society of Muslim Brothers' success in the November-December 2005 elections for the People's Assembly sent shockwaves through Egypt's political system. In response, the regime cracked down on the movement, harassed other potential rivals and reversed its fledging reform process. This is dangerously short-sighted. There is reason to be concerned about the Muslim Brothers' political program, and they owe the people genuine clarifications about several of its aspects. But the ruling National Democratic Party's (NDP) refusal to loosen its grip risks exacerbating tensions at a time of both political uncertainty surrounding the presidential succession and serious socio-economic unrest. Though this likely will be a prolonged, gradual process, the regime should take preliminary steps to normalise the Muslim Brothers' participation in political life. The Muslim Brothers also carry their share of responsibility. Although they have made considerable efforts to clarify their vision and can make a credible case that they embrace the rules of democratic politics, including the principles of citizenship, rotation of power and multiparty political life, serious questions linger. Many of their pronouncements are ambiguous; not a few - including in their most recent political program - retain a distinctly non-democratic, illiberal tone. This is particularly true concerning the role of women and the place of religious minorities, neither of whom, for example, the Muslim Brothers believe should be eligible for the presidency. Clarification is needed. Democratising the Society's internal practice also would help, particularly if the group's more pragmatic wing is able to make a credible case for a doctrinal revision as the price to pay for political integration. (e) ensuring that consensus positions on these issues are formed within the Society in a democratic manner to avoid contradictory approaches by members.